This recipe is crazy easy and super delicious! My family often doubles this recipe because otherwise there’s not enough for seconds. This clam chowder is perfect for this freezing winter we’ve been having in Nebraska. Set your stove top to medium-high and place a medium sized pot on that burner. Combine all of the ingredients and stir till boiling. Once it has started to boil you’re done and ready to serve. Constructions jobs, weather it be HVAC, plumbing, painting, or building, have many different hazards and one of the most common injuries are hand injuries. Hand Injuries can be prevented with proper hand protection. Listed below are the different gloves that can be used to prevent absorption of harmful substances, severe abrasion, severe cuts or lacerations, thermal burns, chemical burns, punctures, and extreme temperatures differences. Chemical resistant or heavy rubber gloves – wear these when working with substances that may cause skin irritation (an example of this would be a chemical burn). Electrically Insulated gloves – wear these when working with electrical hazards. Cut resistant metal mesh or Kevlar gloves – wear these when working with sheet metal, glass, or any material that has the potential to cut, puncture, and tear. Heavy duty leather or nitrile coated work gloves – wear these when working with and/or carrying blocks, bricks, stones, and concrete. It is especially important to wear gloves when working with concrete because it can tear and chafe your skin and it’s full of chemicals that can irritate the skin. Non-slip gripped gloves – wear these when moving or carrying slippery or heavy objects. Anti-vibration gloves – wear when using tools or equipment that cause shock and vibrations. Heavily insulated thermal gloves – wear when working in extremely cold temperatures. Welding or Aluminized heat resistant gloves – wear when welding, using cutting torches, or working with hot materials. Even though there are many times you should being wearing gloves when working in the construction industry there are also times when you should not wear gloves. For example, gloves should not be worn when operating machinery or power tools where a risk of entanglement may occur. Be (think) smart, and evaluate each individual job to determine when hand protection should be worn and when it should be left off. 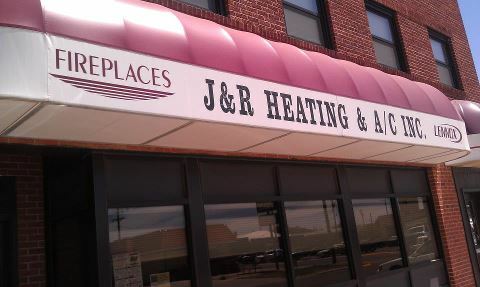 In the HVAC industry, burns can be caused by many different things and can vary on degree. Know that the best treatment for burns is prevention, and if someone else is burned don’t be a “hero” if you don’t know how to properly administrate help. After all, without proper education you could end up being the victim. Note that the information below is only FIRST aid for a burn. For more serious burns and/or situations you will need additional aid. 1. Assess the Situation: Put on proper protection equipment, determine the cause of the burn and dispose of any threats that may affect the victim, do not move the victim unless they are in danger, treat life extinguishing situations first, and don’t become the victim. 1st Degree – Displayed by redness of skin and are uncomfortable and painful, but typically heal on their own with minimal treatment such as aloe vera. This type of burn is not severe. 2nd Degree – Are very painful and are displayed by extreme redness of skin and blistering. 3rd Degree – This is the most dangerous and could be life threatening. They are displayed by whiteness, charring (black), and discoloration of skin. There may be no pain present due to nerve damage. Fire (usually a 2nd or 3rd degree burn and if it is treat as follows) – Cover the burned skin with a dry sterile dressing or cloth, elevate the burn, do NOT remove any clothing or jewelry that could stick to the skin, seek immediate emergency medical attention. Electricity (commonly 2nd or 3rd degree and if it is treat as follows) – make sure all electrical currents are off!, check for breathing (Do CPR if necessary, unless you do not have the knowledge), cover burned skin with a dry sterile dressing or cloth, elevate the burn. Important note: For 2nd degree burns do not cover with ice or it could make the burn worse and do not immerse the burn in cold water for 3rd degree burns. Here is some additional burn information from a reputable source. We can face some pretty stiff cold weather during the winter season and, as was pointed out recently by the BBC, we are getting better at managing it. We are no longer defenceless against brutal temperatures, cold houses and unnecessary chills. The BBC recently offered several personal and household pointers on how to survive the winter season without a blink. No more hibernation! It is important during the cold months that we get up, go outside and exercise. Any activity outdoors is good activity, even in small doses. Obviously, avoid the brutally low temperatures and wind chill factors but exercising outdoors has proven to get the circulation going. If you have a functioning fireplace, it is important to maintain it in order for it to operate properly. If you neglect your chimney, it will gather a lot of trash and tar that can impact the efficiency of your fireplace and even create a fire hazard in your home. Each year, there are more than 45,000 chimney fires in America that cause about $125 million in damaged property and an average of 30 deaths. 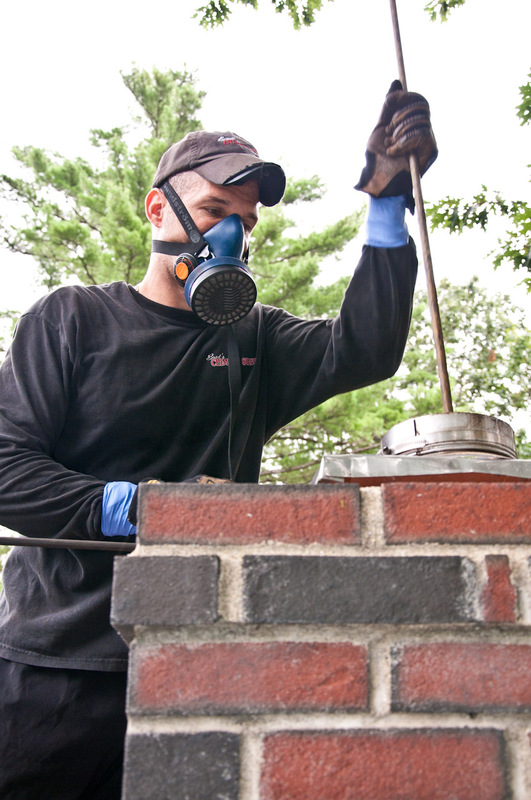 Cleaning your chimney is one of the most important things you can do to keep your fireplace clean and safe. Chimney repair can be expensive and quite troublesome to do, but fortunately there are several ways you can clean it yourself.